The Amyloid imaging to prevent Alzheimer’s Disease project (AMYPAD) aims at studying the onset, dynamics, and clinical relevance of brain β-amyloid in the spectrum from normal aging towards mild cognitive impairment and dementia due to Alzheimer’s Disease (AD). 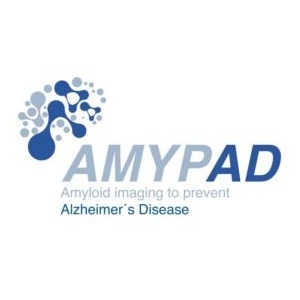 AMYPAD studies the value of using PET (positron emission tomography) imaging for β-amyloid deposits, with the goal to determine the clinical added value of PET imaging in diagnosis and patient monitoring, and to develop data to establish its usefulness in clinical trials. Within the diagnostic and patient management sub-study (DMPS) of the AMYPAD project, researchers aim to determine the usefulness of early utilization of β-amyloid imaging as a diagnostic marker for Alzheimer’s disease. The study will involve subjects with subjective cognitive decline (SCD), mild cognitive impairment (MCI) or AD dementia. The first participant of this clinical study has been recruited in Geneva, Switzerland. “Anyone would agree that amyloid PET accurately reflects brain amyloidosis, but to what extent this information addresses patients’ needs, and expectations rather than physicians’ and industry’s is a contentious subject that AMYPAD DPMS will provide an answer to”, explains Prof Giovanni Frisoni, group leader of the Laboratory of neuroimaging of aging, University of Geneva. The study will also assess the impact of β-amyloid imaging on diagnostic confidence, therapeutic management, and health economics. Congratulations to the Geneva team! More about AMYPAD at https://amypad.eu/.